As the holidays approach, many wonder if it is the right time to sell their house. Traditionally, the holiday season is a very busy season for buyers and sellers alike. So what is the answer? If you are a seller who has the house up on the market and is now thinking about giving yourself a rest during the holidays – don’t. Chances are, if you have listed your house then you want it to sell, so move ahead. In general, the market tends to slow down this time of year, and many assume that there are no serious buyers out there, but there is evidence to the contrary. A recent survey conducted by Realtor.com showed that “79% percent of real estate professionals believe more serious buyers are one of the biggest advantages of selling a home during the holiday season.” The competition is also very low this time of year and buyers are still looking because of the exceptionally low interest rates. Rather than pulling your house off the market due to holiday festivities at your home, consider changing your showing restrictions and ask to be notified in advance for a showing, to better accommodate your holiday schedule. Is your home ready for sale? The houses in move-in condition are easier to show and more salable. How motivated are you to sell your house, is it your top priority? 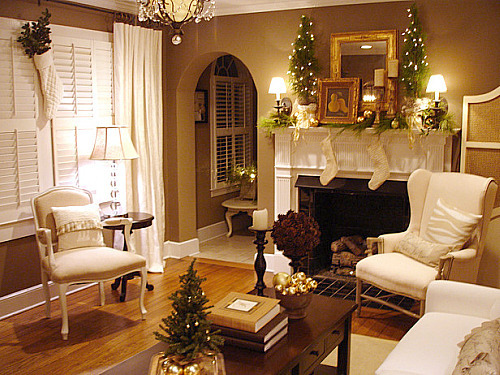 Are you flexible during the holidays to show your house to buyers? Consult with your real estate agent about the local competition. You need to know about the real estate activity in your area to price your property correctly. Make sure your pictures sparkle, and I’m not talking about your holiday decor. Majority of the home buyers start their search on the internet, therefore, pictures of your house will be the first thing they see. Highlight all the important features of your house like a cozy fireplace, nice big kitchen island or a beautiful bay window. If you like to decorate, try keeping it to a minimum. A big bulky Christmas tree will take away from your living room space and give the buyers an inaccurate impression of your home. On the other hand, a tall and skinny tree will draw attention to your high ceilings, thereby proving a buyer with a more attractive image. Remember, the focus should be on your house, less is more.